EU drops road toll plan? – Who you gonna call? The European Commission signals a significant change in its approach to roads. Distinctive new police cars take to the streets of Crimea. 15 year olds could be allowed to drive in France, a new road to link Skopje and Pristina, Brussels starts to revamp its parking rules, and Ed Miliband comes out swinging for Gibraltar. EU DROPS PAY-AS-YOU-GO ROAD TOLLS? Did the German ‘foreigner vignette’ put paid to road charging? 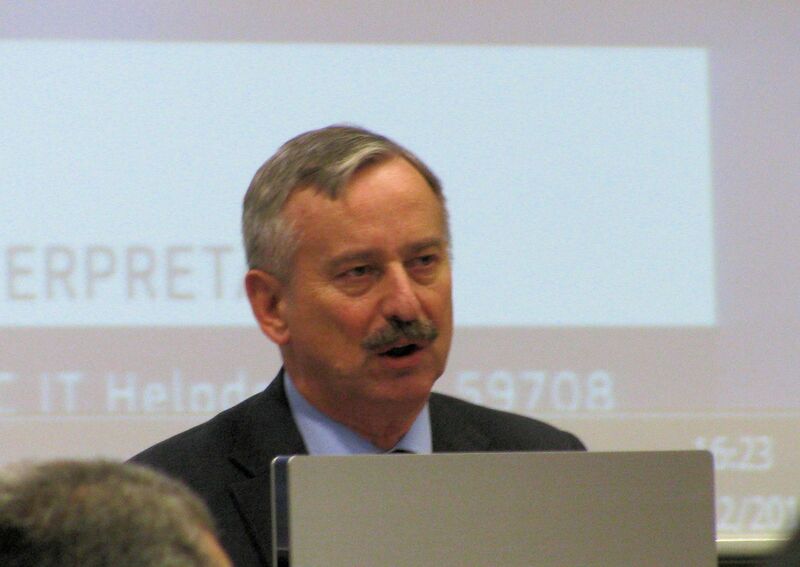 EU transport commissioner Siim Kallas at the Brussels 2012 Road Charging Conference. Photo @DriveEurope. This time last year the EU was preparing for pay-as-you-go road tolls across Europe. Following a continent wide consultation, and a conference in Brussels at the end of 2012, the fine details were due to be published in June 2013. That date came and went, as did the next deadline of October/November. The Commission envisaged a state-of-the-art electronic system, likely governed by GPS. Charges would vary by time of day and vehicle emissions, among other things, to price congestion off the roads and tackle pollution and even noise. It would also take a cut of the revenues to address ‘decades of chronic underinvestment’ in the road network. A simple, silver bullet style solution to tackle all the ills of modern motoring. If only politics was so straightforward. Last week the Commission signalled a rethink. Speaking to the Transport Business Summit in Brussels yesterday (Thursday), Transport Commissioner Siim Kallas said, ‘The widespread view has been that EU transport policy should limit the use of roads as much as possible, in favour of other forms of transport. Kallas still sees a role for road charging but it is now cast as a simple access charge to use infrastructure, such as airlines and railways pay, for instance. So what could have changed the Commission’s mind? It’s impossible to ignore the fact that the Germans are absolutely dead set against pay-as-you-go charges for private citizens. Along with high inflation, any form of state surveillance is a red line in German politics. Both are hangovers from the Nazi era. During the recent hunt for the autobahn shooter, police were denied access to data from the electronic truck toll system over privacy concerns. Instead they had to build their own highly regulated, entirely separate network of cameras, at vast expense, as they narrowed down the search. It’s partly why it took them eight years catch him. They are not against road charging per se though, far from it. The ADAC motoring club told the 2012 conference that over eighty percent of its members were in favour. The German MEP who spoke continued to extoll the virtues of the vignette – an annual charge allowing drivers to use the roads – as if Commission members had not spent all day describing vignettes as mere ‘blunt instruments’. Vignettes might create funds to tackle road maintenance, a particular issue in Germany, but they cannot influence traffic flows. Within a few months the roads vignette became a hot topic in the German general election campaign. Despite few taking it seriously it is now official government policy – payable by foreign drivers only, at least for the moment – with legislation expected before the summer break. The German ‘foreigner vignette’ is annoying but the silver lining looks like the end of pan-European road tolls. They would have made driving from one end of the continent to the other ruinously expensive. It does however raise the prospect of a EuroVignette for cars, similar to the charge trucks currently pay to drive in a bloc of European countries. One thing is for sure. One way or another, individually or collectively, many/most European goverments have to deal with the state of their ageing roads. They either accept them as a core responsibility and pay for building, maintenance and improvement out of taxpayer funds, or get on with ‘user-pays’ funding arrangements – tolls, vignettes, whatever. Another outstanding question is Belgium. After having their idea for a vignette publicly rubbished by the Transport Commissioner in summer 2012 they quickly dropped the idea and instead started to look at GPS pay-as-you-go tolls. The system is currently undergoing a large scale trial. It will be interesting to see how the Commission’s latest thinking affects the new Belgian government’s final deliberations after its general election in May. 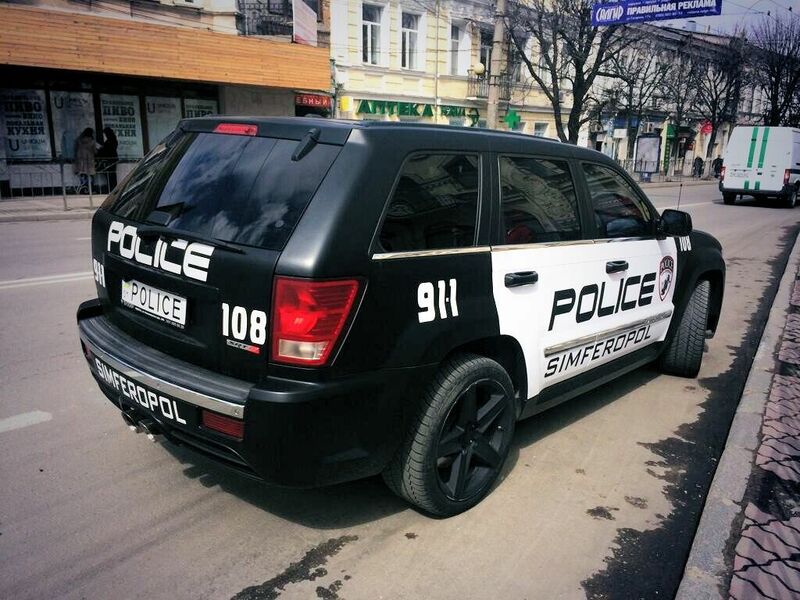 Simferopol: introducing the new-style police car for Crimea. roundup: FRANCE allow 15 year olds behind the wheel with an accompanying adult in a bid to get young people used to the roads earlier, and dissuade them from riding mopeds. KOSOVO. Building on a new highway between capital Pristina and Skopje, capital of neighbouring FYRO Macedonia starts next week. The €600m, 90km road will take 42 months to build. BELGIUM. New parking arrangements start in Elsene (Ixelles), south Brussels, on 1 April. The Brussels Capital region is gradually harmonising rates and zones – orange, max 4.5hr, blue, free with a time disc, red, charged 09:00-20:30 up to €5 for two hours. The half day charge is now €25 (multi-stories are cheaper). The idea is short stay is cheap, long stay ruinously expensive. Other Brussels regions should follow suit by September (see more here, Dutch only). GIBRALTAR. Labour leader Ed Miliband says the border queues are a ‘deep concern’, ‘unacceptable’ and that resolving the issue should be a priority for Britain according to GBC News.